The Association of British Bookmakers clarified its position on several policy areas after the Sir Robin Wales singled out the gambling sector in his post as the mayor of Newham. The council in Newham is lobbying hard to reduce the number of wagering retail shops and the bets offered by FOBTs and believes that the government’s Triennial Review into prizes and stakes will surely make a difference. Wales stated that since 2008 Newham has tried to rein-in the gaming industry. However, in spite of Wales’ strenuous efforts as well as the wishes of their residents they have not been able to stop the blight of such clusters on their high streets. They currently have 84 sports betting retail shops in their borough, which is over six for every square mile! The only way to make sure that their high streets are properly regulated is to reduce the stakes on FOBTs. Moreover, this will make bookmakers re-consider the number of shops they want to operate on their roads, specifically in deprived areas. Newham’s residents as well as Wales’ 92 other local supporters, they are looking forward to the Government taking swift and firm action to address the issue. However, the ABB pointed out that the betting shops serve a need in the United Kingdom. 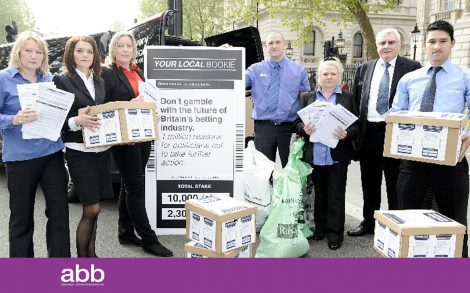 It stated that thousands of clients had signed a petition which backed their local bookmakers. It is great to see so many people pledging their support for an operator that has been trading in the town centres and high streets for over 55 years.